Jonathan Sheehan is professor of European history and co-director of the Center for the Study of Religion at the University of California, Berkeley. Since 2016, he has led the Henry Luce Foundation-supported Berkeley Public Theology Program, a three-year, $1 million initiative that investigates the past, present, and future of theological inquiry in the secular research university. 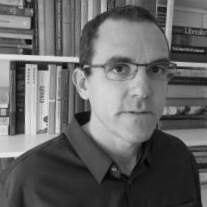 He is the author of Invisible Hands: Self-Organization and the Eighteenth Century (Chicago, 2015) and The Enlightenment Bible: Translation, Scholarship, Culture (Princeton, 2005).